Palestinian author Ibrahim Nasrallah has landed the Arab world's top fiction prize for his novel "The Second War of the Dog", a dystopian tale of inhumanity. 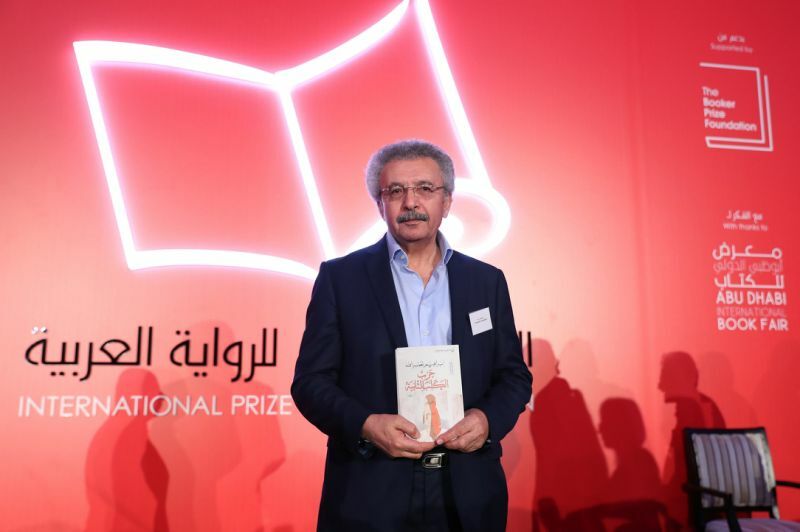 Nasrallah's work won the International Prize for Arab Fiction, affiliated with the Man Booker Prize, at a ceremony Tuesday hosted by the United Arab Emirates. Set in a violence-wracked nameless country, "The Second War of the Dog" explores the moral and material avarice of humankind through the life of its main character, Rashid, who morphs from a diehard regime opponent into a corrupt extremist. "This novel aims to shake the reader, to shatter his understanding of the world, to shatter his complacency. Because no one can survive if the world around him is collapsing," Nasrallah told AFP after the ceremony. "We are subject to a sort of oppression by arrogance by the great powers of this world," he said. "Killing our children, driving us into poverty, plundering the wealth of the Arab world, this is also oppression. Oppression is not just the doing of this or that little [extremist] group." Born to Palestinian parents in Jordan in 1954, Nasrallah is a former journalist who turned to full-time writing in 2006. The International Prize for Arab Fiction includes $50,000 and funding to translate the work into English.